Instructions on how to make project’s I’ve created. 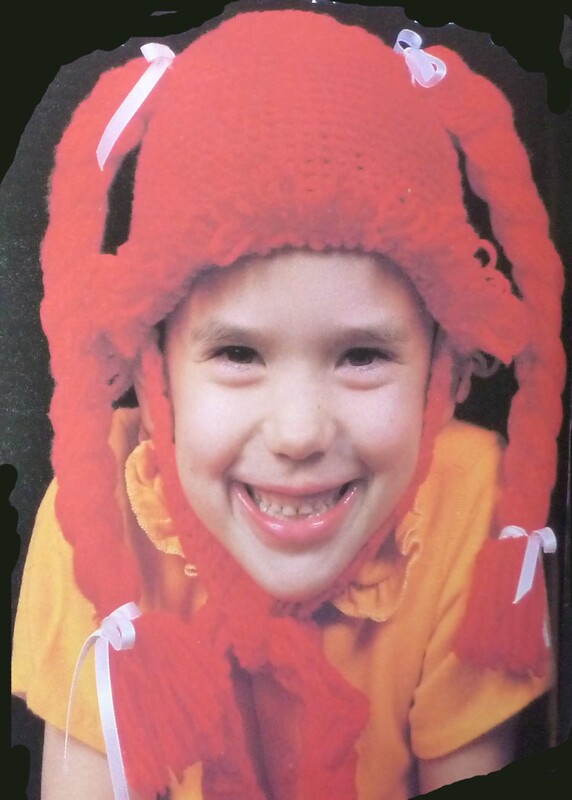 Back in 1983 I designed a costume for my daughter who wanted to be a Cabbage Patch Doll for Halloween. I crocheted this hat with braids to resemble her own Cabbage Patch Doll. 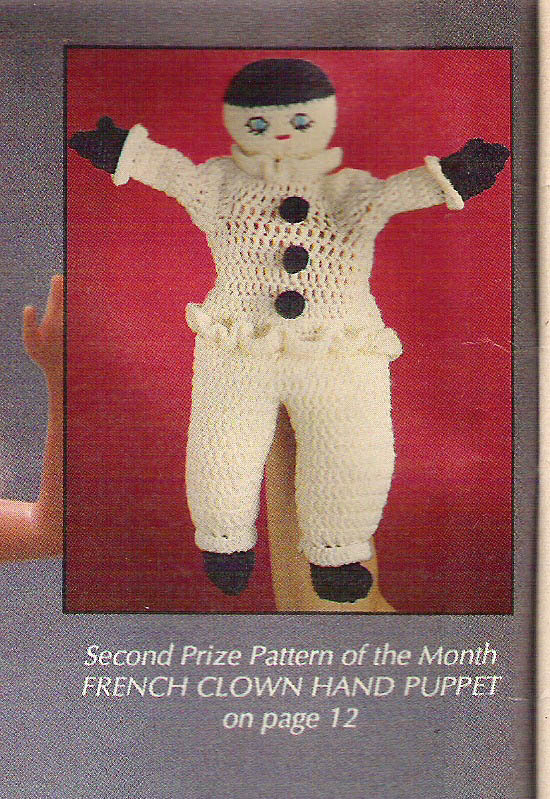 The following year I submitted the pattern to a national magazine for publication. 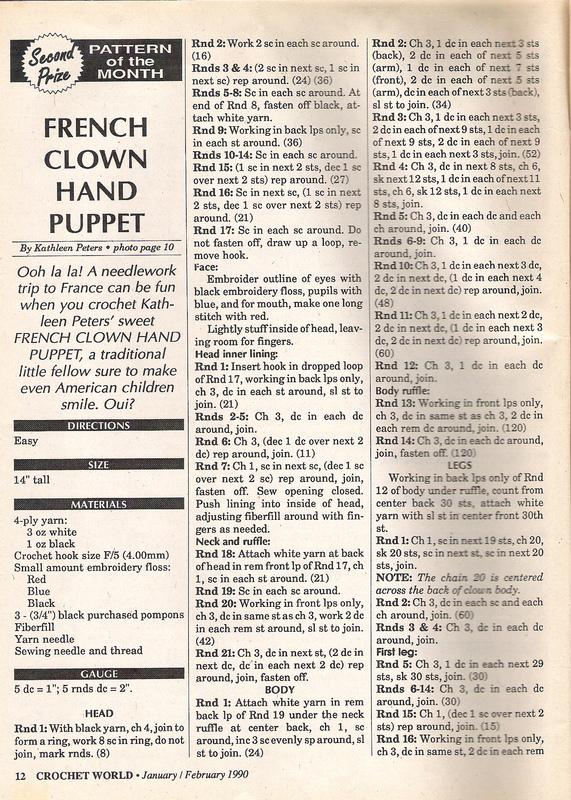 In Feb/Mar 1985 it was published in Annie’s Pattern Club magazine. The pattern instructions isn’t an interesting read (unless maybe you’re like Dumbledore who enjoys reading knitting patterns.) but I’m including it here for any one who has the interest in making one. 4 Ply Yarn-4 1/2 ozs; 2 1/2 yards of 1/4 inch satin ribbon;2 rubber bands; tapestry needle; G hook or size to obtain gauge. NOTE: Entire piece is worked in back loops unless otherwise stated. Do not join rounds unless otherwise stated. RNDS 5-6: Sc in each st around. RND 12 – 26: Sc in each st around. At end of rnd 26 join with sl st in first sc, TURN. RND 27: Working this rnd in both loops, ch 1; for loop stitch (lp st) insert hook in st, wrap yarn clockwise 2 times around finger, insert hook from left to right through all loop on finger, pull lps through st, drop loops from finger, yo, pull through all lps on hook, lp st in each st around, join with sl st in first lp st. Fasten off. 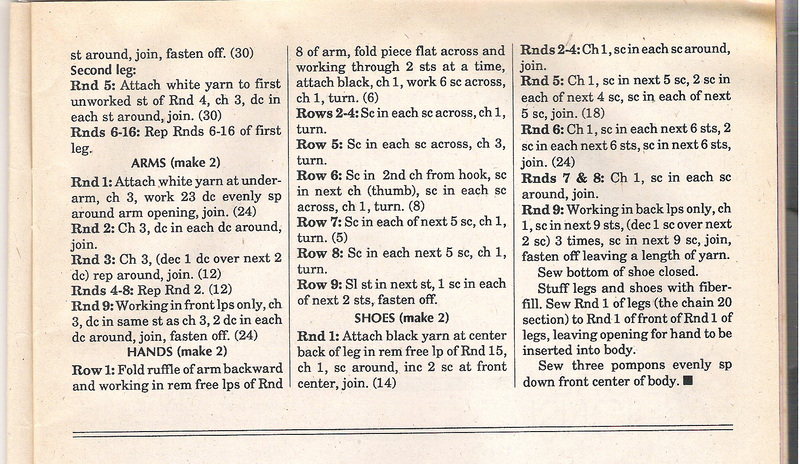 ROWS 2 – 70: Ch 1, sc in each st across, turn. At end of row 70, fasten off. Sew 1 tie to each side of rnd 26. Cut 36 piece yarn 30″ long, fold in half, sew fold to round 10 on side of hat. Separate strands into 3 even sections and braid. Place rubber band on end of braid to secure. Cut ribbon into 4 equal pieces. Tie ribbon at top of braid and around rubber band. Note: That isn’t my daughter in the picture. My pictures of her in the hat were too small and now she’s too big to wear it.